The Drexel in Italy Fall Sport Management program is offered in partnership with the American University of Rome (AUR). Through coursework, field trips and exploration of sport venues in Rome, students will learn about the Italian approach to sports while studying with European and American students in a university setting in Rome. This program is open to all majors with priority given to Sport Management students. Graduate students are also eligible to participate in this program. This is an amazing opportunity to add a strong understanding of European sports management to your credentials while studying in the historic and culturally rich city of Rome! Rome constantly conjures up vivid reminders of its glorious past as the city that built the greatest Empire the world has ever known. With its sunny climate, stately umbrella pines, and an unparalleled wealth of history around every corner, Rome's beauty quickly overtakes all who enter its ancient walls. A walk or bus ride through even the most commonplace quarters of the city yields encounters with innumerable monuments, towering pillars, and major imperial buildings that still stand imposingly just as they have for 2,000 years! Sports play an important role in Italian life with football (soccer) being the most popular. Watching sporting events with locals whether in a sports arena or in a local bar will provide students with a firsthand experience of what is important about sports as a form of competition, leisure and source of national pride. It will also provide students with a shared interest with locals and a great conversation starter to work on developing Italian skills. Overlooking the historical center, AUR is located on top of the Janiculum, Rome's highest hill. With its own garden of Roman pines it offers a spectacular view of Rome and the surrounding hills. The campus is near two city parks, Villa Sciarra and Villa Pamphili and historical landmarks. The area also hosts diplomatic residences and several international academies. AUR's student body consists of approximately 500 full time undergraduates from 40 countries. Thus Drexel students will be in class with a very international mix of classmates. AUR has an urban campus and the compound is composed of 5 nearby buildings, which include an auditorium, spacious garden, student services, computer lab, classrooms, laboratories and faculty offices. Evans' Hall, a liberty villa of 1920, is the site of the library, student lounges and a beautiful outside garden. Carini 23, a five story building of the '70s designed by a famous Italian Architect (Paolo Portoghesi) is the location of design studios, faculty offices, and the Batista Multimedia Laboratory, a state of the art lab for film production. Choose one or two elective courses from a wide variety of departments, such as Business, Art History, Communications, Italian Studies, and International Relations. Drexel Sport Management professor Dr. Amy Giddings will teach the two SMT courses. Graduate students must enroll in the two SMT courses and an Italian language course. Principles of Coaching will include setting performances goals in coaching, the various roles of the coach, ethical conduct in coaching, the psychology of coaching, coach-athlete compatibility, coaching burnout, personality of the coach and coaching youth sports. An emphasis is placed on conducting practices and competitions to enhance the social-emotional growth of athletes. Italian Sport and Culture will provide students with a solid understanding of the critical issues of sport San Siro Stadium Management in Italy and will contrast European management practices with those of the United States. This course will involve visits to sports facilities, discussions with management of sports clubs and attendance at one or two sporting events. All courses are taught in English except for courses in Italian Studies. For undergraduate students, AUR offers a range of subjects such as political science, art history, business, Italian, communications, and more. Drexel students will be taking courses with local European and American students. Please review the full AUR Course Catalog to identify the additional courses you may want to take. The course equivalency spreadsheet is a historical list of pre-approved courses Drexel students have taken there before. Students select 1 LUMSA_courses_from the approved list and 3 - 4 AUR courses. Students attend the regularly scheduled LUMSA classes until the end of AUR’s fall semester. Students fulfill the the required readings for the LUMSA course. Instead of the LUMSA final exam, students complete a research paper in Italian as well as writing a journal in Italian where they record their reflections upon their experience at LUMSA. An AUR faculty member will act as advisor for the research paper and grade the student’s work. The research paper and journal must be completed during AUR's final exam period. Students are taught and graded by Dr. Giddings for the SMT courses and by AUR faculty for all other courses. 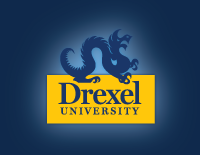 The goal is to take the equivalent of a full-time load at Drexel. Depending on the courses, students can expect to take 4-6 courses per semester. The amount of class content time and work-load required is broadly similar to universities in the US. Grades earned at AUR will be factored into your Drexel GPA. Review the Study Abroad Grading Scale. The Sport Management Term in Rome runs every three years and is next scheduled to run in Fall 2017. AUR is a semester school. This program is only available during the fall. Students with fall/winter co-op will need a cycle change in order to participate. Due to the need for cycle and program changes, please begin planning at least 12 months in advance. Note: Drexel students will need to either leave their co-op job early OR arrange for early summer final exams. Students live in fully furnished apartments, two students per bedroom, with a TV, a computer, wireless internet and full furnished kitchens. There is no meal plan at AUR, thus students are responsible for their own meals, but Rome provides a huge variety of food options from your simple pizza to an involved six course meal. Students are encouraged to take advantage of local markets and the kitchens in the apartments to save money on meals. Students are required to obtain a visa for entry into Italy. This process may take 6-8 weeks so students should act early. For specific visa instructions, please refer to the Italian Embassy website. Apartment accommodation - fully furnished with AC, internet, cooking utensils, etc. For more information on the program, please contact Dr. Amy Giddings or Program Manager Heather Blackburn.